in finland eating rice pudding/ riisi puuro in and around christmas is very traditional. my boys love it so much, that i’ve extended the yummy stretch and have made the rice pudding into a winter favourite. i often make it on the stove and then the oven, but now that i have my beautiful crock pot i have slow cooked it too, which is kinda easier. no transferring of ingredients etc! add all of the ingredients into your slow cooker and cook for 4-6 hours. i cook mine about 4.5 hours. i got a recipe from vegetarian slow cooker recipes and then tweaked it a bit to suit my tastes. her recipe includes more sugar, raisins, vanilla and lemon zest among other things. i like to keep my rice pudding simple, so that it can be jazzed up with toppings instead. when i serve the kids their bowls of rice pudding, i sprinkle a tiny bit of sugar and cinnamon, and add a bit of milk. sometimes i will also add some berries or fruit. the kids love this snack, especially for ilta pala, our bedtime snack. THAT looks AMAZING! We are huge rice pudding fans (the Mexican variety, usually) and anything I can cook off the stovetop is a winner in my book. Will be trying this sometime this week, for sure! i would LOVE to see your mexican version of rice pudding. let me know how it works out! I’m craving rice pudding now! It seems like the perfect thing on these absolutely chilly winter nights. I’ll have to try this. it’s been a great comfort food for all of us this winter! enjoy! Will be trying this!! Thanks for sharing. 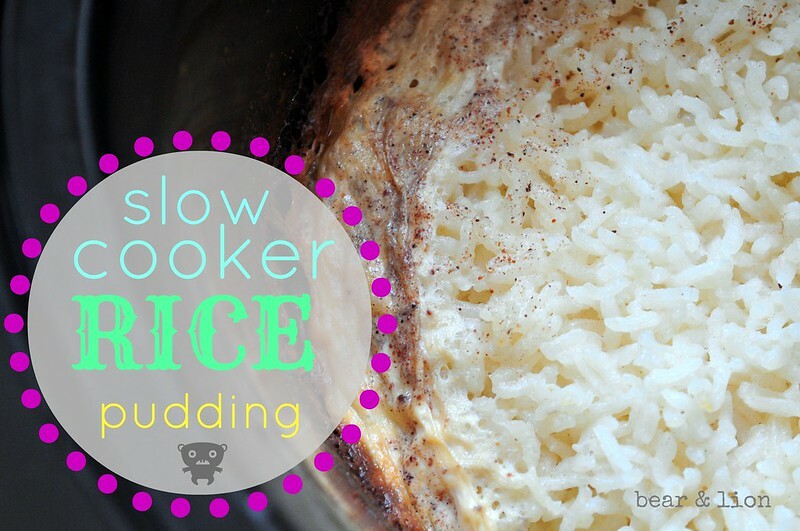 LOVE rice pudding, & I never thought to make it in the Crock Pot! thanks for the ‘pin’ and thanks for stopping by! yeah, the crock pot rice pudding seems to obvious now! and SO EASY! 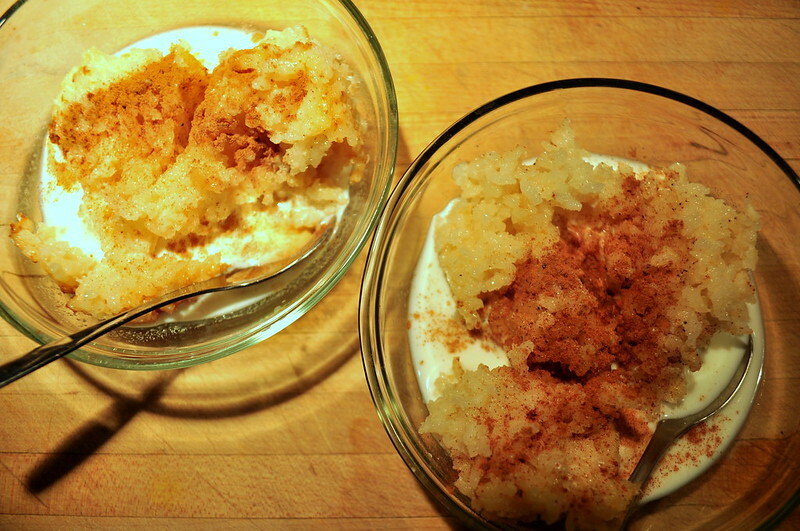 Rice pudding, bread pudding….love them both! But it always seems like too much of a project to make either one. But NOW – the slow cooker! Bravo! Thanks so much for such a terrific idea! So perfect for these cold winter days (and nights). yeah, the slow cooker way is the way to go! it’s so easy and it tastes amazing! perfect comfort food for winter! This looks really good…I can’t wait to try it! 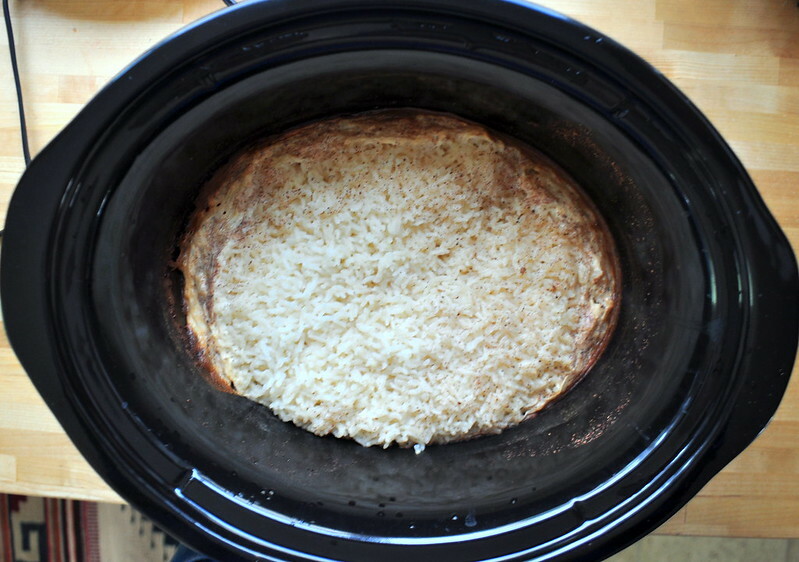 Love that it is done in the crockpot!Sound and look delicious! Thanks for sharing over at Finding the Pretty & Delicious Linky Party. Hope you’ll join in again on Saturday. YUMMM! I always forget about rice pudding but ti’s a family favorite around here. Thanks for linking this up to Monday Funday! I haven’t had rice pudding in forever! Looks great! Thanks for sharing at Sweet & Savory Saturdays!